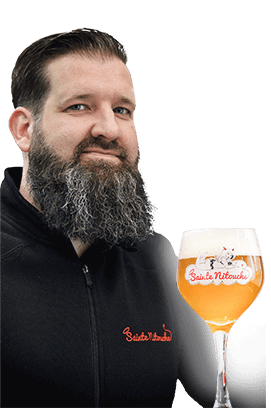 SAINTE NITOUCHE TRIPLE is a high-fermentation lager beer with an alcohol content of 9.5%. It has a slightly hoppy, floral and full-bodied flavour with bitter notes. Serve at 12-14°C. Available in 330 ml bottles, in packs of 4 and boxes of 24, or in 20-litre barrels. 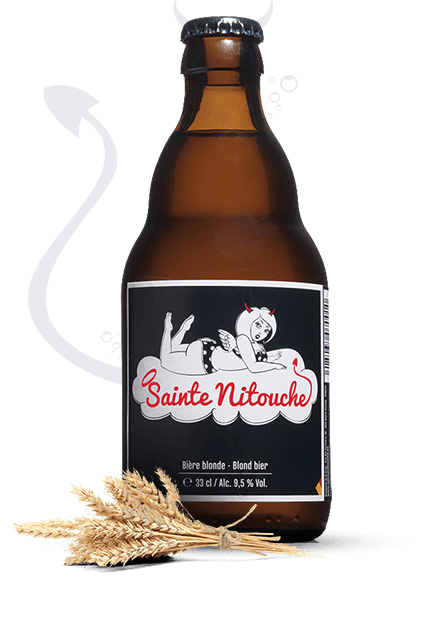 SAINTE NITOUCHE Blondinette is a high-fermentation lager beer with an alcohol content of 6%. A stronger hoppy flavour with more pronounced bitter notes. Serve at 6°C. 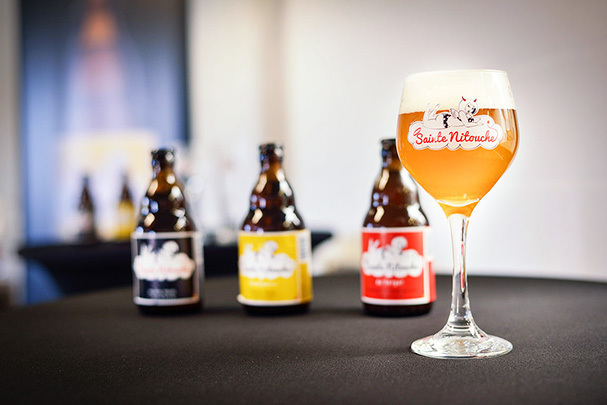 SAINTE NITOUCHE du Verger is a high-fermentation fruit beer with an alcohol content of 4.5%. It is best served at 6°C. Available in 330 ml bottles, in packs of 4 and boxes of 24. We mainly brew specialist high-fermentation, bottle re-fermented beers (lager beer, dark ale, pale ale, white beer and fruit beer). 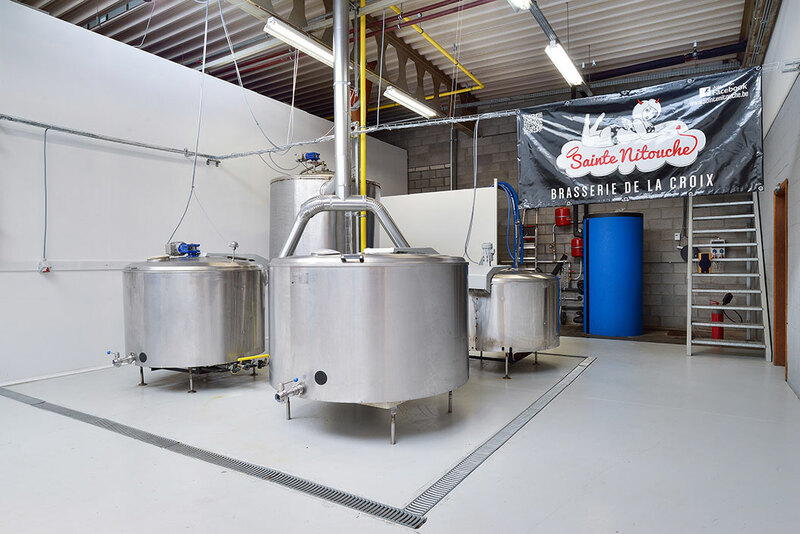 At our 200.000-litre capacity brewery, we brew our very own range of Sainte Nitouche beers, placing particular emphasis on. 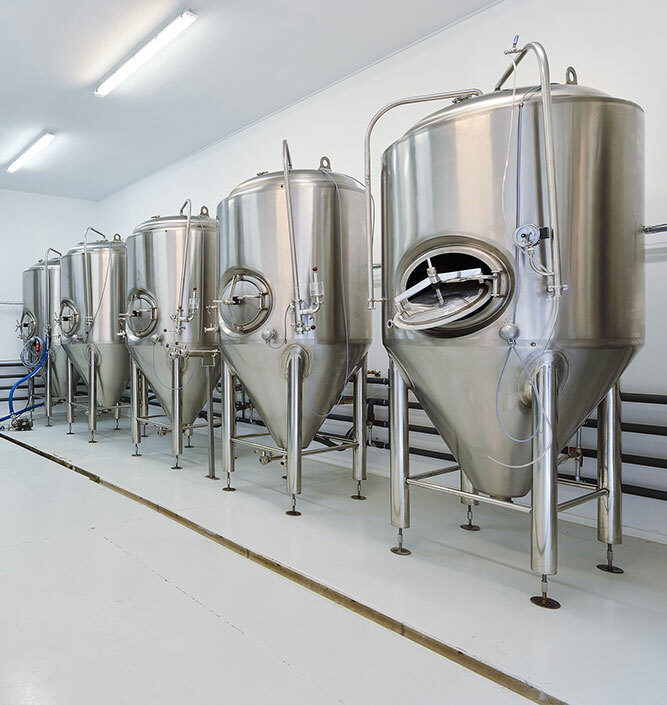 We also produce bespoke beers for consortium and association clients and operate as a subcontractor. We work together with our clients to deliver the perfect solution. We are proud of our values: friendship, tradition and client satisfaction. Even though I've always been a beer lover, I ended up in the brewing trade by accident. After working in a brewery for several years, I developed a thirst for more knowledge, driven by a desire to make the move from amateur to master brewer. A passion was. It's a classic story that goes like this: I started brewing in my garage. My friends liked my beers and encouraged me to take it further. A few years later, with their help and having joined forces with my brother-in-law, I founded Brasserie de la Croix in May 2014. It's the culmination of many years of dedication and hard work, reflected in my Sainte Nitouche beers. So why not try some for yourself, or drop by in person for a tasting session? The shop is open on Fridays between 5 pm and 8 pm, and on Saturdays between 9:30 am and 12 pm. And if you can't wait that long, you can also place your order here. Tours can be provided by prior arrangement only. 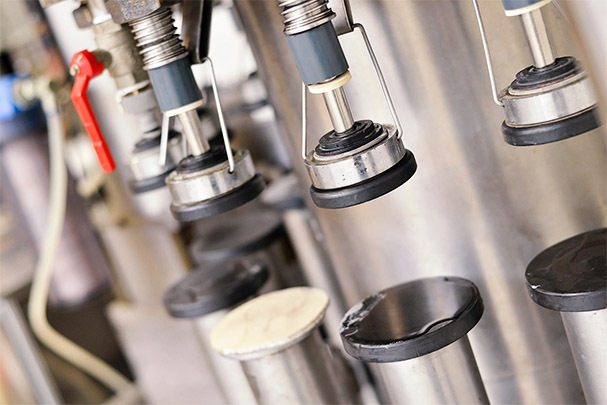 Learn about the entire brewing process.